Nigel Benn, What Are You Doing? 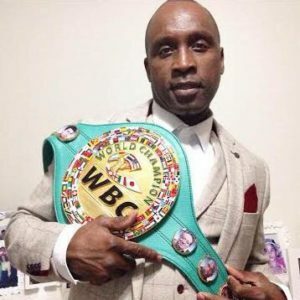 Former two-weight world champion Nigel Benn has recently stated that a contract has been drawn which secures a fight between himself (aged 53) and Steve Collins (aged 52) to take place this year. Now at the age of 53 Benn has transformed from the animal he used to be, into one of the most gentlemenly and respectful figures associated with the sport. Benn is a British boxing legend and appears to have a wonderful and loving relationship with his son, upcoming prospect Connor Benn. Heart warming scenes have shown the two after Connor Benn’s previous fights kissing and hugging in celebration. Nigel Benn appears to have gotten the balance just right in supporting his son whilst staying away from the limelight of Connor’s career, all the while giving him the room he needs to grow as an athlete and having the complete respect of his son. On camera, Nigel Benn is also an absolute joy to watch in interviews as someone whose wise words and tips for the younger generation of the sport sparkle with joy and pride at the man that his son is becomming. It has been pressed for a while now that he and old foe Chris Eubank (AKA English) have been planning to fight for a third time. They are both now over the age of 50. Apparent complications in closing the deal (which are very believable based on Jr’s career so far) have meant that Benn has apparently withdrawn from the idea, and instead offered the fight to someone who has beaten them both, Steve Collins. Collins stopped Benn twice when they fought, at a point where Benn was rumoured to be going through serious issues in his home life which hindered his performance. These performances, particularly his last one against Collins, are perhaps the catilyst for Benn wanting to take this fight. In a recent interview with IFL TV, Benn stated “For me it’s all about closure, it ain’t about the money. I just want to have a fight, and Steve obliged”. It’s not surprising Collins, aka The Celtic Warrior, took this fight as he not only beat Eubank and Benn twice, he long after retiring continued to try to book a fight with Roy Jones Jr. This was one of the greatest eras in British boxing with the top three (Colins, Eubank, Benn) all dying to fight each other and doing so multiple times. The hostility and rivalry between these three, along with top contenders Henry Wharton and Michael Watson, was electric for boxing fans.This period in a way draws parallels to the essence of Ali, Frazier and Foreman in the early 70’s. Some would say that this era in which the three Brits starred is a world away from the state of boxing today, with fighters seemingly being able to vacate belts and back out of fights at will. However, this era happened more than twenty years ago, and these once great fighters, have aged. History tells us, for the most part, that ageing fighters who were once legendary bring sad moments to the ring, which are difficult for boxing fans to swallow. Watching Bernard Hopkins get dismanteld by Joe Smith Jr, Muhammed Ali get punished by Larry Holmes, these are not fights which any boxing fan really wanted to see. Most recently, watching EnzoMaccarinelli knock Roy Jones Jr out in the fourth round of their fight in December 2015 was like watching your favorite pub burn to the ground in front of you. If the fight between Benn and Collins were to get licensed, it is not a fight that many boxing fans would want to see at the age these two are at now. Several leaked videos of Nigel Benn in training at the age of 53 show him being lightning fast and looking exceptional for his age. In fact, Benn claims to be capable of “doing things now that he’s never done before”, due to his healthy and stress-free lifestyle of recent times. “No one will ever forget what you did here”.